In this program warm medicated oil is applied on your neck and back it will help to increase blood circulation, reduce pain and good for spine. The special vedic plus “back massage has been designed to reduce casualties of a stressful life are the shoulders and back, resulting in pain and tension. This treatment has been created to eliminate tension and bring relief through an ultimate back and deep shoulder massage. Experience the most heavenly moments with this signature massage focusing on the back of your body which relieves the tension and increase circulation with both powerful & gentle rhythmic strokes. 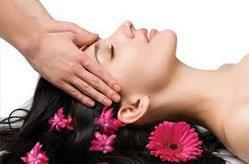 We are providing Massage Service in Pune. We are the renowned organizations engaged in offering superior quality Jacuzzi with Back Massage Therapy. The offered jacuzzi is best for light & soothing massage for spinal cord & made in tune with the latest trends. This jacuzzi is comes with various customized options so as to fulfill the needs of customers. Relax and unwind with Impactors Back Massager that is now enhanced with new configurations to offer an overall improved user experience. In this time and age, where people work for long hours they need an antidote for destressing them. We provide therapies and massages for this purpose. These therapies help in restoring the work-life balance. Our therapists are knowledgeable enough to rejuvenate the mind, body and soul using only natural herbs in the process. Sveda Karma therapy is given on a specially carved wooden table (while you lie down) with herbo medicated steam to give relaxation to the body. It opens up pores and channels and purifies the body. - Helps in removing extra fat. - Relieves pain specially in the cases of Arthritis, Spondylitis etc. Back thigh massage causes blood regulation. Knee pain and ankle pain can be efficiently treated or even avoided by whole leg massage. This not only provides relief but also strengthens ligaments. Foot massage regulates the various body secretions and also relieves stress to a great extent. For those who spend long hours working at the desk and encounter backaches, this 60 minute massage which includes hot herbal salt clay pot on the back serves as the perfect tension and ache reliever to iron out the tension and pain. Nature Unisex Salon & Spa. Massage therapy is a general term referring to several practices of manipulating soft tissue for therapeutic purposes. ... Neuromuscular therapy, the most effective massage treatment for low back pain, consists of alternating levels of pressure applied to muscles to alleviate muscle spasm. - Power Drum-Massage for effective relief of neck & shoulder aches. - 20 Automatic Massage Programmes with different intensity levels with a heat-up function. Mrs. Rekha Chaudhari, winner of "Asian Contribution towards Fashion" by Fashion Asia presents her award winning patent treatment (winner of "Most Innovative Spa Treatment 2010" at the asiaSpa Awards) THE NOVEL ROPE MASSAGE. If your back feels sore and tired and you experience a sharp pain in the movement of your neck and back, it probably means that your back and neck are experiencing a lot of strain and stress. This massage is especially recommended for those who are suffering from back and neck pain.